I recently enjoyed a week at a friend’s condo in Delray Beach, Florida. The condo looked out on a small lake where there was a lakeside bench we enjoyed during the cocktail hour. Out in the lake was an aeration fountain; its peak is shown above, caught in the setting sun marking the end of each pleasant day in the area. One highlight was a visit to the Wakodahotchee Wetlands. This is a vast park maintained by Palm Beach County as a pleasant place for bird watching while serving to final filter the already pure outflow from their water treatment plant. 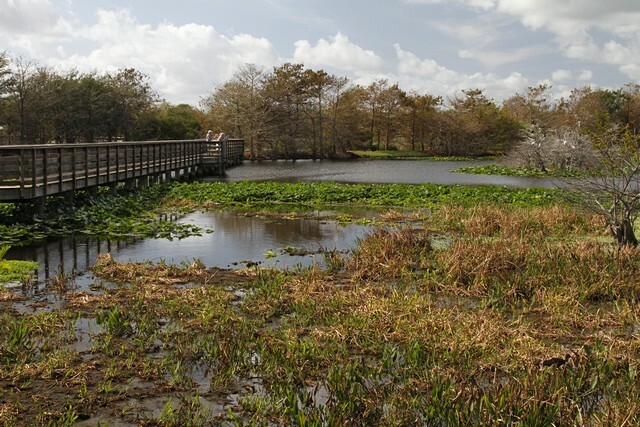 The park is fifty acres with a three-quarter mile boardwalk that crosses between open water pond areas, emergent marsh areas, shallow shelves, and islands with shrubs and snags to foster nesting and roosting. 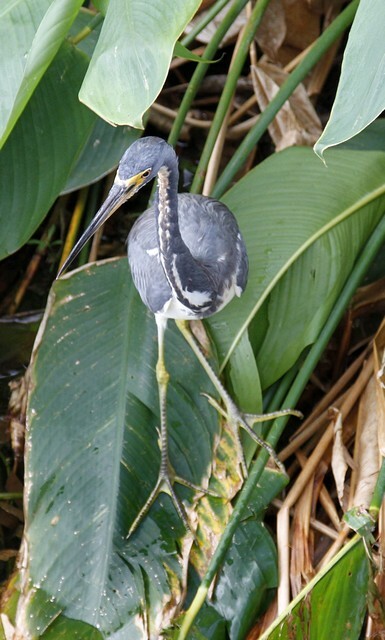 Over 151 varieties of birds have been seen along with turtles, alligators, frogs, otters and racoons. I was envious of the photographers with their long lenses, capturing the various herons, anhingas and cormorants nesting in the thickets. My own long lens was nesting back home. Oh, well. 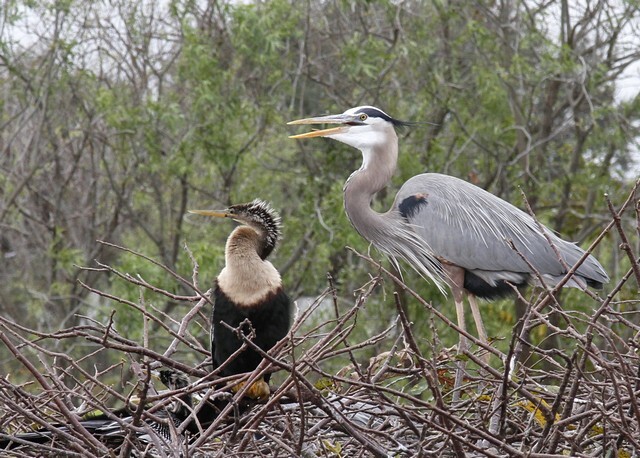 Here’s a female Anhinga and a Great Blue Heron. Talking about all the crazy photographers. 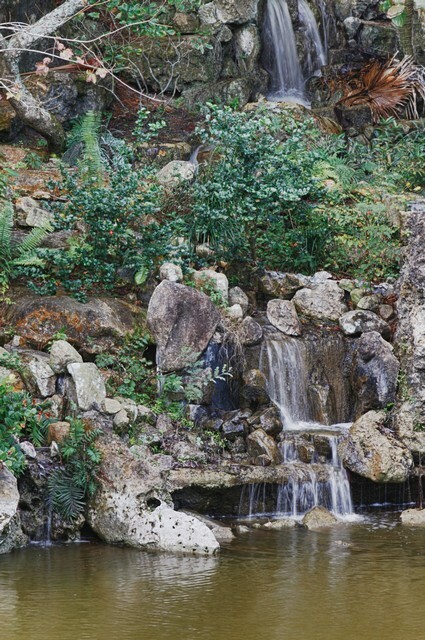 This place was so pleasant and enjoyable that we returned for another walk. We also visited a similar Palm Beach County Park, Green Cay Nature Center, 100 acres of constructed wetlands with a 1.5 mile elevated boardwalk through it with extensive educational facilities. 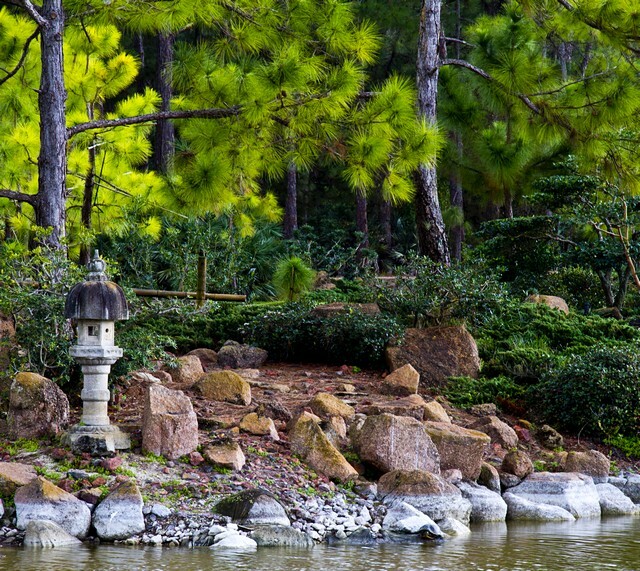 In 1904 a group of pioneering Japanese farmers came to Florida to establish the Yamato farming colony between Delray and Boca Raton. By the 20’s the group had given up its dream but one member, Sukeji Morikami, persevered and became a successful farmer and fruit and vegetable broker. In the mid-70’s he donated land to the county to be used as a park to preserve the colony’s memory. Today it is a magnificent destination. 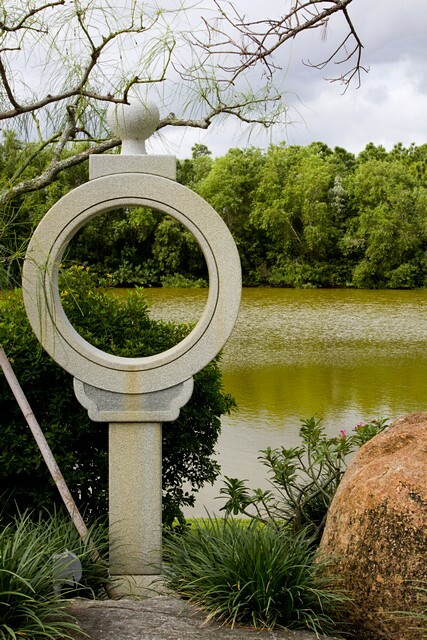 One wanders along peaceful paths through six major gardens surrounding a central lake. 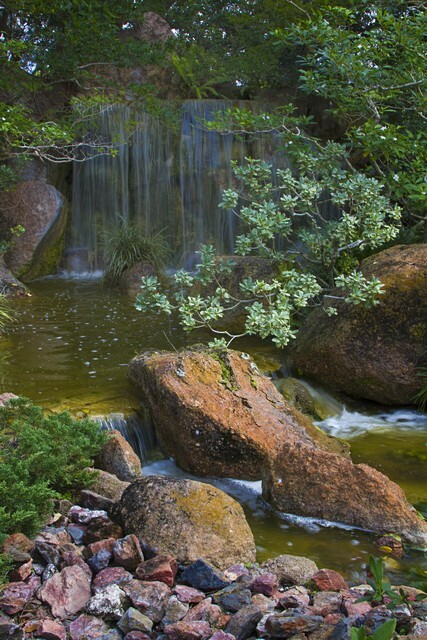 The gardens reflect periods of Japanese garden design from the eighth to the 20th century. Centrally there is an excellent museum and educational facility, the museum housing some 5000 artifacts. The cafe lived up to its reputation as one of the three top museum cafes in the country. For a gallery of trip images, please click here. Awesome images Ralph!! Looks like you had a great time. That’s my kinda place, wildlife all around!!! I would have so much fun with my “long” lens. Thanks for posting these great images. You’re right. With your enthusiasm for the Forsythe Refuge you’d run out of film in those county wetlands parks. 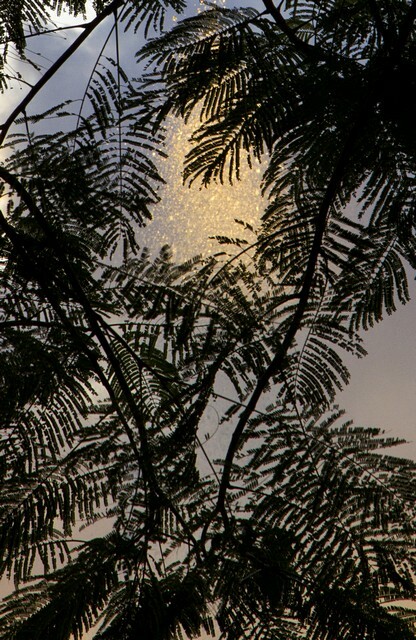 It looks like you had a wonderful trip and saw some beautiful sights and were able to capture them in your camera. Your photography is terrific. Thanks for sharing. Thanks, Ken. It was fun. A little challenging with the bird shots as, without my 400mm, they were crops of my 105mm shots. Nice to have the 18MP array. Really enjoyed your photos again. Glad to see you are still getting around to photograph. I have done very little lately – it is hard just keeping up with the exercise and social life out here. Maybe this summer I will get back to it again. Thanks, Sally. The summer shore is on its way. BTW, had a community brunch last Saturday and sat with the Krakuras. She’s a dynamo. Looks like you had another great trip! I especially like the heron parent & offspring image. Thanks. I liked the capture of the Great Blue with his mouth open as if he were talking to the other bird about what they were both looking at.